sold out//Crafted from finely woven gossamer silk, this graceful loose fitting tunic reveals curves with out exposing skin! 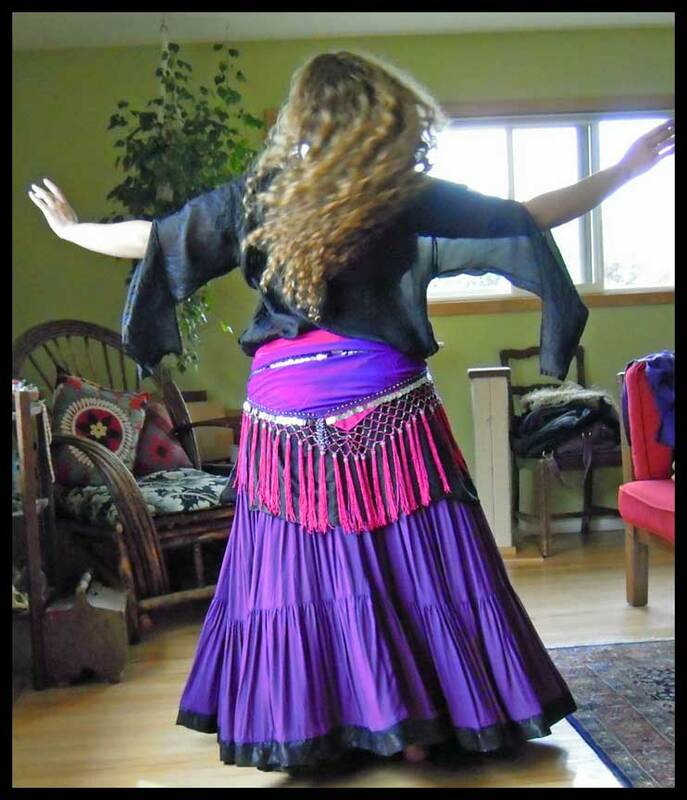 The split Ghawazee sleeves float, fly and drift with the motion of the dance! Perfect for layering under a coin bra, over a dance bra, or over a choli! Carefully crafted with finished french seams, and a front four button placket embellished with delicate embroidery. Colors; hand dyed, click here for silk colors ivory (off-white), antique beige and champagne (not available in this style) black, brilliant blue, teal blue, turquoise, emerald green, apple green, olive, golden yellow, tangerine, rust, brick, red, deep crimson, wine, fuchsia, pink, purple, magenta,peach, pastel blue, pastel green, lilac click here for pastel colors The color swatches give you a good idea of the color you will get; just be aware that monitors differ and color shade can vary from dye lot to dye lot! Sizing: generously cut. S/M fits up to 42 inch bust/hips, L/XL Sold out. Sizing Guide. Matching Silk Pieces tie your colors together! If ordered at the same time will be dyed in same dye bath! Click here for the Flying Skirts Silk Collection!